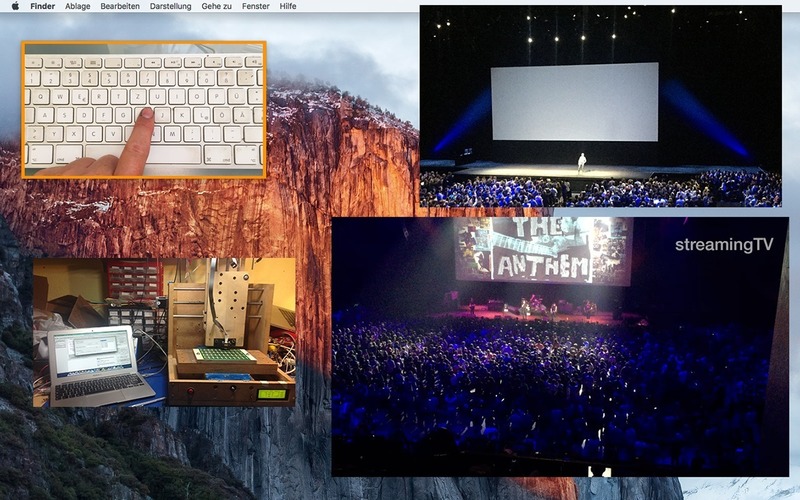 Displays webcam pics in picture-in-picture mode. Is there a better alternative to PiP³? Is PiP³ really the best app in Teaching Tools category? 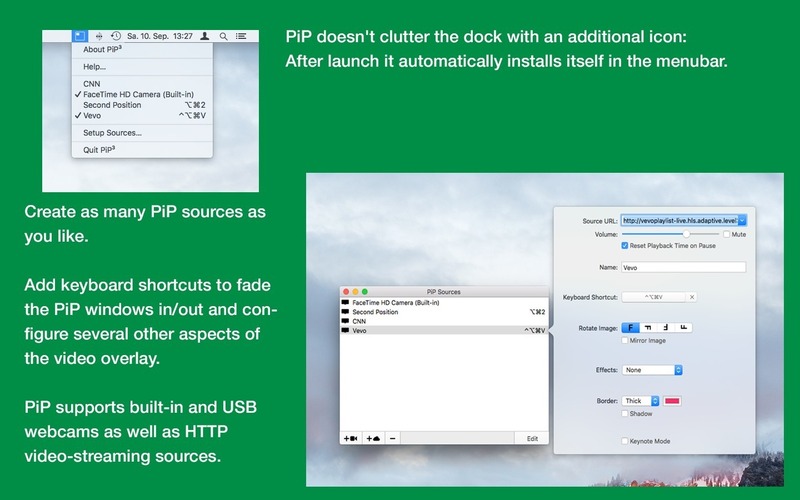 Will PiP³ work good on macOS 10.13.4? Use PiP to show the picture from any webcam on your screen, nicely integrated as "Picture in Picture". Define a keyboard shortcut to smoothly fade in and out the video during a live presentation or while recording a screencast. PiP doesn't clutter the dock with it's icon: After launching it'll automatically install a small icon in the menubar. PiP³ needs a rating. Be the first to rate this app and get the discussion started!